Michael Levin's award-winning and extraordinarily beautiful photographs have a very painterly quality. 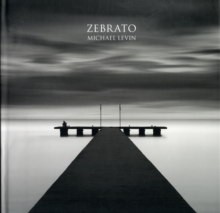 In a recent feature profile, the American fine art magazine "Focus" declared 'Michael Levin's captivating images are soulful and evocative; he is truly one of the rising stars in photography'. Using long exposures Levin reduces the landscape to elemental shapes. Each image has a simplicity and purity capturing the essence of the landscape. Many of his photographs feature water and clouds, and show what has been described as 'the smooth skin of light', yet it is the architectural intrusions into these clean spaces that most engage him. Wooden posts, concrete barriers, weathered rocks, dilapidated jetties, even the elegant shape of French topiaries introduce elements which seem to haunt the landscape and introduce a human presence.